The West Coast Mennonite Relief Sale (WCMRS) is just around the corner, this coming Friday and Saturday. While there is a LOT of fabulous food for sale, along with used books, plants, antiques, collectibles, fair trade items, a 10K race and 2 mile fun run, the main money is raised through the auctioning of handmade items (over 500 quilts, afghans and comforters). Today I want to share the past quilts that have been made by me and quilted by Mark's cousin, Ione. We partner every other year to make a quilt. This sale is held every year (there are several similar sales held through the United States and Canada) to help fund Mennonite Central Committee, whose mission is to spread relief, development and peace in the name of Christ. It is an incredibly well-respected charitable organization. In fact, nearly 90 percent of all money donated goes to the work of MCC. Where is this work carried out? In the words of the West Coast director, Sheri Wiedenhoefer, "All those places you wouldn't want to go for vacation? Those are the places where MCC is present." MCC has an ongoing presence in many, many countries, and is always one of the first responders whenever there is a disaster happening anywhere in the world. 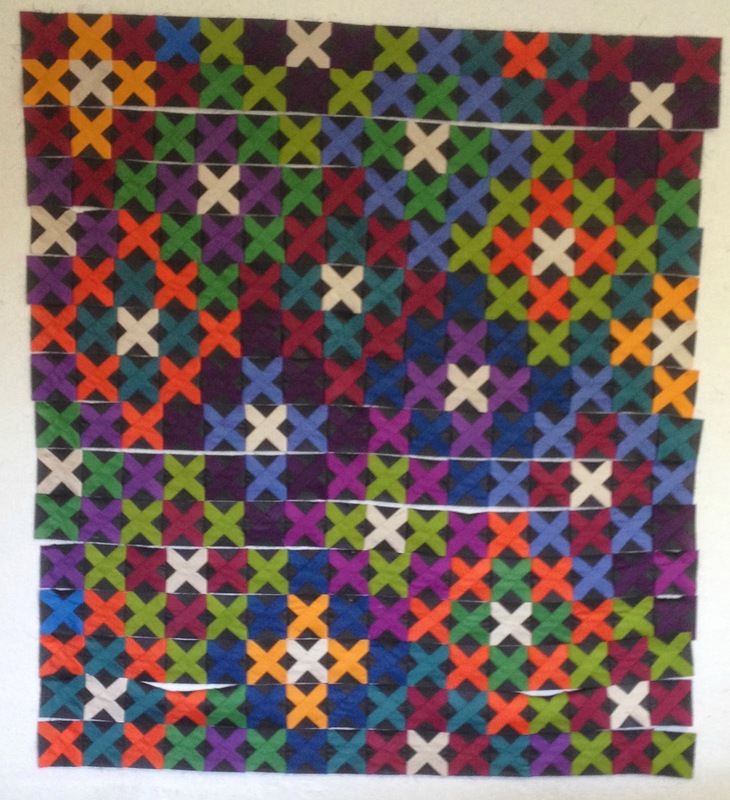 The first quilt collaboration was this Shoofly quilt (84x96). Ione had made at least one of these before, I fell in love with it, asked if she would consider quilting it if I made one for donation. She did a beautiful job, and the variegated thread really popped against the black. This quilt sold for the highest amount that year (2003): $3,400! In 2004, we collaborated on Stars Over Ohio (86x113). 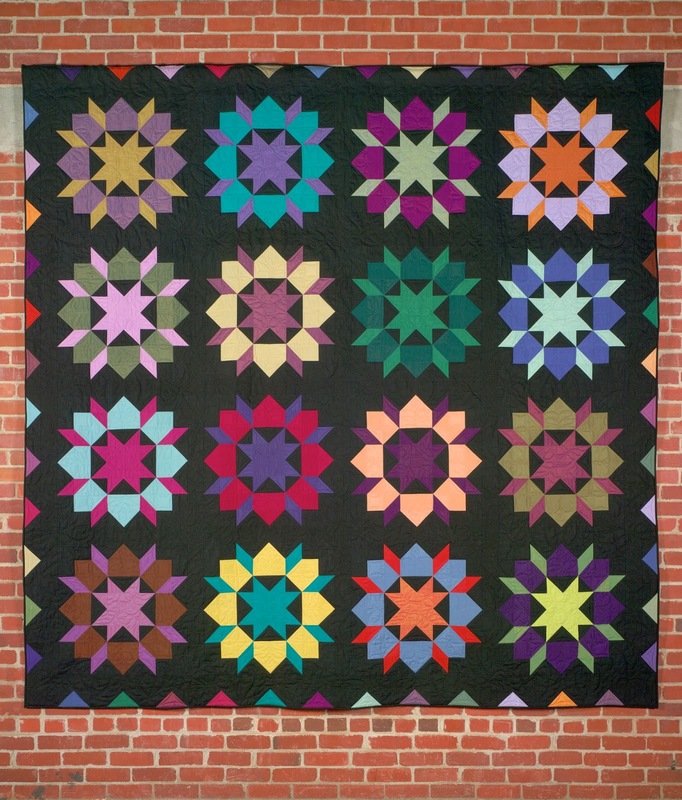 Each star had the same focus fabric, and all the blocks were some kind of variation on the Ohio Star. It sold for $3,100; I believe it was the second highest that year. California Kaleidoscope (108x108) came next, in 2007. It sold for $2,100. 2010, California Flower Garden, which had 3,460 pieces! (size 110x112). It sold for $3,700. Color Box was auctioned two years ago and went for my personal best, $5,900! This weekend, a quilt I have mostly called Swooning with Oakshotts, but changed to Amish Stars for the auction program, will be on the auction block. I'm already starting to get a little nervous. The fabric is the incredible Oakshott. I can't say enough about Michael Oakshott, who gave me a very generous discount on the fabric after I told him a little about MCC and its work around the world. He took my word for the plans for this quilt totally on faith, even though I told him it would be two years before it would be auctioned off. Thank you, Michael! I'll post a bit more about Amish Stars on Friday. Tomorrow you won't want to miss seeing the quilt that Christa made, along with help from one of her friends. If you are wondering about the little quilt named Mabel, here she is so far. The name doesn't make sense to anyone other than me at this point, but it will all be revealed soon. Promise. Since she is obviously a work in progress (only the top two rows are sewn together at this point), I'm linking up to Lee at WIP Wednesday and with Lorna at Let's Bee Social. Wow, Amish Stars and Mabel are gorgeous! Fabulous cause, and so nice of M Oakshott to give you that discount. He must be very pleased with what you've made with it! Wow! I'm impressed with your gallery of MCC quilts and for the amount they raise. Here in Winnipeg quilts don't get the big numbers, so lots of us have stopped making them because we don't want our hard work to sell for $500. Congrats on your lovely Amish Stars and I'm rooting for a big number on it at the auction. Such a beautiful post! I love seeing all of your quilts. This year's quilt is a winner......big time!! You are so generous. Your latest quilt is so gorgeous. I know it will be hard to part with. I hope it surpasses your personal best! I'm sure it will raise a ton! Is it wrong that actually there's a bunch of places there that I've been on holiday, and even lived?! The quilts are amazing. 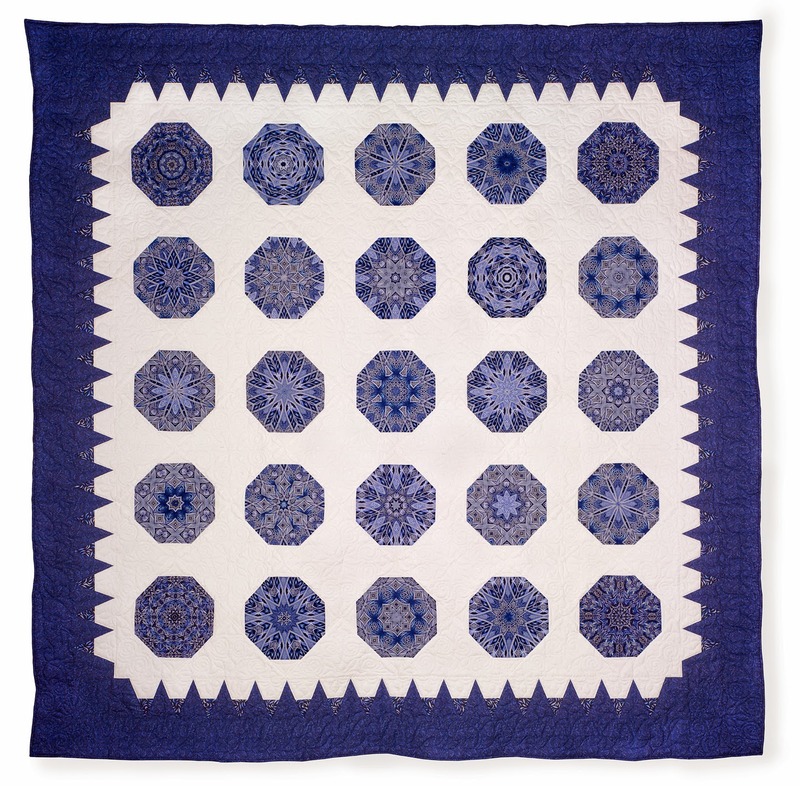 I love the Amish Stars quilt; the Swoon pattern looks fabulous in these fabrics. I hope it raises lots of money for such a good cause. 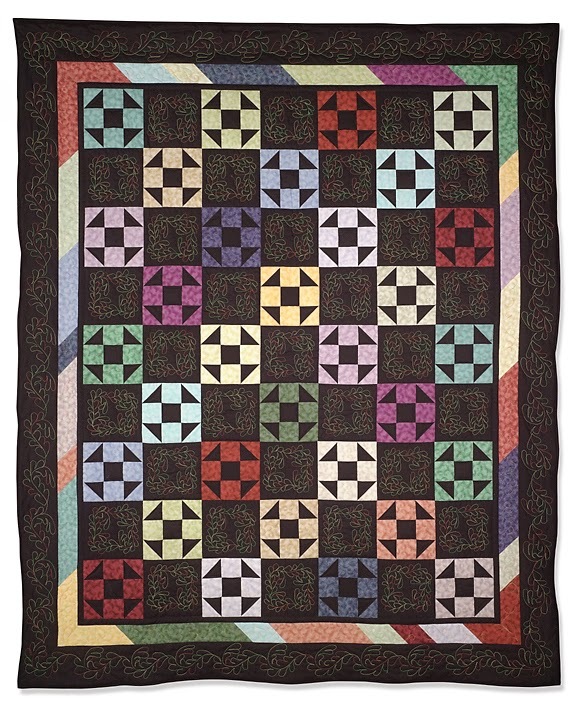 All of those quilts are beautiful, but Amish Stars is amazing! I hope it raises the most money yet. Gorgeous quilt...Amazing cause. I love your Swoon. Perhaps it is a fabulous competitor for the "personal best" category. I hope it raises even more for you! I checked the link and it doesn't give any info about the sale. I think I'm within driving distance and would love to attend. Any suggestions? MY GOODNESS! Those are some gorgeous with a capital G quilts! And your Amish Stars is just incredible. Holding my breath! Hey, that Mabel's not too shabby either! Thanks for sharing the quilts sewn with love for such a worthy cause, Cindy! Oh, I think you will have a new personal best after the sale this year, Cindy! Oh, and I sure like Mabel, too! Cindy, thank you for the quilt show! Can't wait until this weekend. Fabulous quilts Cindy and what a fantastic amount of money you both have raised, well done! Such beautiful quilts and all for a great cause. It's inspiring that so many people donate their time and also money to help others. Congrats! What a beautiful thing to see all your quilts gathered here in the name of charity. And little Mabel -- she's perfect! I'm in love with Mabel and can't wait to see her completed! Love seeing all your collaboration quilts - very cool! I loved seeing all the quilts and learning more about this terrific organization. Thank you. 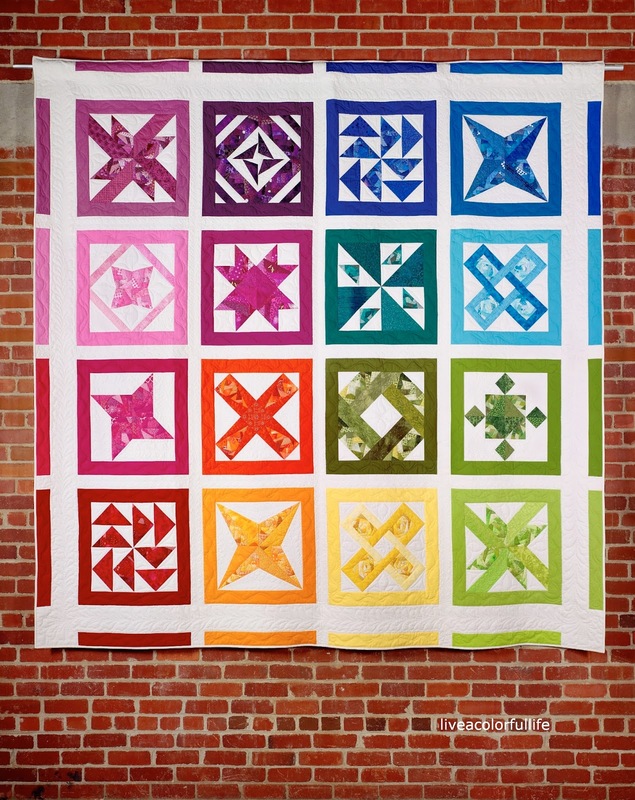 The swoon quilt is beautiful! The Swoon quilt is beautiful. You have raised so much money for charity with your quilts. Well done! Quilter, fabric lover, collector of selvages. And yes, sometimes I DO buy fabric just because of the selvage! 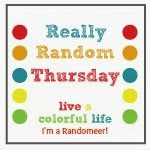 My blog header turned into a quilt by Felicity! Earth Day Bag Pattern Sale! Sweet Baby James Quilt with Mister Domestic Aura Blog Party! The garden that took a long time to grow. All images, text and content on this site are the sole property of Mark and Cindy Wiens unless otherwise credited. If you wish to link to this site, please do! 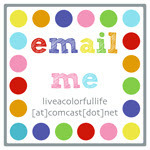 Blog Design by julia (little girl quilts) based on. Simple theme. Powered by Blogger.